When I think about the holiday season, I think about food! Snacks are a huge part of our holiday celebrations. I’ve got four amazing Triscuit recipes that I think you’ll want to try during the upcoming holidays. You can visit the Triscuit content hub where you’ll find these recipes by clicking the image below or by going to this link. It doesn’t matter which holiday, right? You need food! I ALWAYS have some sort of cracker and cheese appetizer for the holiday season, so I’m looking at these and drooling. I can’t decide which one of these Triscuit recipes I’d like most. You know that means I will have to try them all. I am thinking of trying the Turkey Cranberry first since Thanksgiving is the holiday of the moment. I love cream cheese, so that’s a given for one of my favorite toppings. Plus sweet and savory tend to be tops when I choose an appetizer recipe. 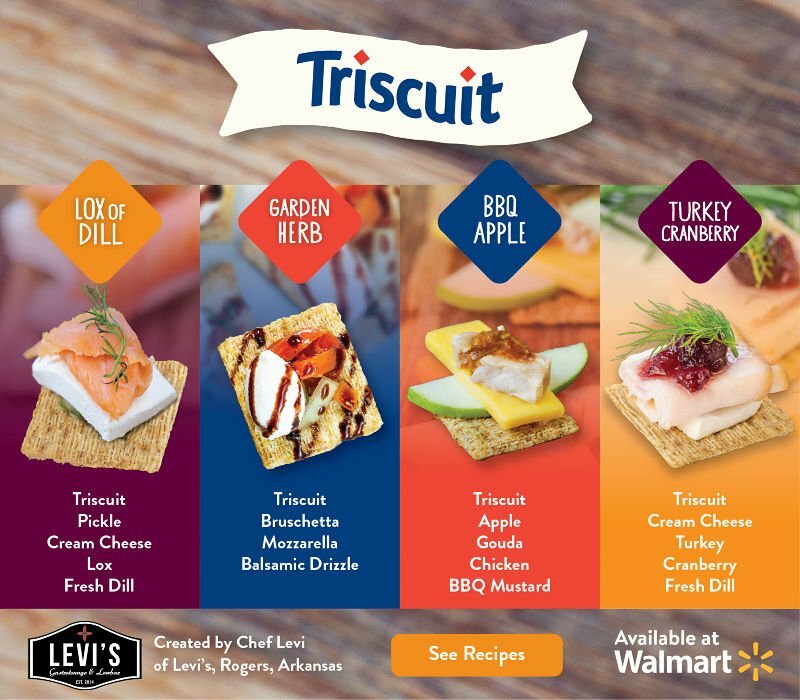 Have you tried all the varieties Triscuit has available at Walmart? Some of the flavors available include: roasted garlic, smoked gouda, garden herb, roasted red pepper, and fig & honey. These are only a few! I haven’t tried them all yet, so I’m looking forward to experimenting with these Triscuit recipes. Triscuit crackers have been around for years, and they remind me of being at my grandma’s house. She always had a variety of crackers, and Triscuit crackers were always in her cupboards. Today, Triscuit is baked with 100% Whole Grain Wheat and now NON GMO. Do you follow Triscuit on social media? Do it now: Facebook, Twitter, and Instagram.